In this thriller, a man tries beating a murder rap by helping cops take down a mobster laundering money. Ex-military man Paul Steiger has been at Henderson Engineering in Akron, Ohio, for only four months with an entry-level salary. So taking a cool thousand from jeweler Eddie Barlow for a simple, discreet job is hard to resist. All he has to do is convince Eddie’s mistress, Lois Janeway, to leave town—her incentive: a briefcase with $50,000. Unfortunately, at Lois’ hotel room, Eddie finds the woman with a knife in her chest. He’s spotted by witnesses and picked up by police, and Detective Lt. Daniel K. Finnell believes he has Paul dead to rights, thanks to damning evidence in the briefcase. But the cops want Leonardo Scarpachi, Eddie’s gangster father-in-law and Paul’s boss, who uses Henderson as a Mafia laundry. Paul’s soon in a relationship with the company’s accounting manager, Angie Bitterman (née Scarpachi), whose husband suspiciously vanished three years ago. As Paul searches for dirt, he questions Angie’s and her father’s interest in him; if they know he’s an informant, he’ll surely end up like the unidentified bodies recently discovered at a local lake. Despite clearly drawn villains, Lois’ killer remains a mystery until the end. 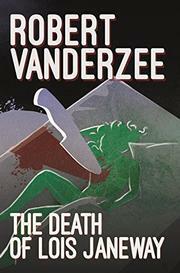 Vanderzee (The Visitor’s Report, 2013) boosts his engaging tale with scenes of characters theorizing on the murder, from Finnell casting Paul as the culprit to others sifting through motives behind the woman’s death. Old school dialogue (someone getting shot is “plugged”) is diverting but occasionally repetitive: several characters use “caper” to refer to criminal deeds, even murder. Angie, however, establishes herself as an enticing femme fatale by using affectionate names for Paul (“schnooky lumps”) while discussing whether or not a person’s capable of murder. This sparks a good deal of suspense, as Paul’s never quite certain if or when Angie—or perhaps Scarpachi—is plotting his demise. A reluctant but absorbing detective headlining an equally entertaining story.